POWDER SOUTH HELI-SKI guides are some of the most respected heli-ski guides in the world. Our guides are UIAGM / IFMGA Internationally Certified Mountain Guides and have decades of experience in the heli-ski industry worldwide, having led trips in Alaska, Greenland, Turkey, India, Canada, Russia, throughout the Alps, Sweden, Japan and South America. Some of them own and operate heli-ski operations in other parts of the world, and they bring their expertise, knowledge and professionalism to POWDER SOUTH. They are leaders in their profession and will not only keep you safe, but also make sure you find the best possible snow conditions and terrain for your enjoyment. An Internationally Certified UIAGM / IFMGA Mountain Guide, Rodrigo is the Director and Founder of POWDER SOUTH and has been a guide for 30 years. He has led 24 expeditions to Denali and 28 expeditions to Aconcagua — the highest peaks in North and South America, respectively. He has been a member of expeditions to Shisha Pangma and Cho Oyu in the Himalaya, and his climbs in Patagonia include the North and Central Towers of Paine, Agujas Guillaumet and Poincenot, as well as Cerro Torre attempts. He’s made Patagonian Ice Cap explorations including the first east-west traverse of the northern Ice Cap. He holds first ascents in Antarctica, the Andes and Alaska; speed ascents of Denali, Aconcagua, and Juncal. He’s guided the Ellsworth Mountains and Mt. 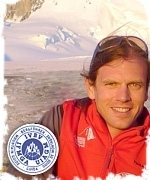 Vinson in Antarctica and has extensive climbing and guiding experience in Yosemite and the Alps, including Frendo Spur and the Grand Jorasses. He’s a former Technical Committee member for the American Mountain Guides Association and a Senior Guide at Exum Mountain Guides in Jackson Hole, Wyoming. 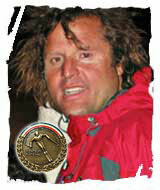 Rodrigo is the owner of AVENTURAS PATAGONICAS Mountain Guides and speaks fluent English, French and Spanish. 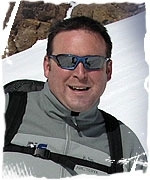 Joaquin is the Executive Director and Co-Founder of POWDER SOUTH HELI-SKI GUIDES. A former Olympic skier, Joaquin raced for eight years on the World Cup speed skiing circuit and finished his career at the Winter Olympic Games in Albertville, France. He became a Professional Ski Instructor at the ENSA in Chamonix in 1985. His mountain experience includes five successful Aconcagua ascents, many Central Andes peaks and several expeditions to 8,000-meter peaks in the Himalayas, including Shisha Pangma (Central Summit), Cho Oyu (Camp 2), and Manaslu (Camp 3). He speaks fluent Spanish, German, French and English. 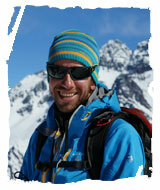 Joaquin owns and operates two adventure travel companies: ACONCAGUA EXPRESS and KL ADVENTURE. Anjan, an Internationally Certified UIAGM / IFMGA Guide, was born and raised in Zermatt, Switzerland where he resides with his wife. For the past eight winters he has been guiding in Canada for CMH, and he’s now mixing it up with POWDER SOUTH in Chile. He has also heli-ski guided widely in Europe, especially around Zermatt and Val d’ Aosta, as well in Greenland and Alaska. 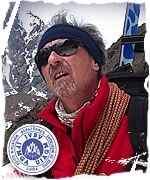 Anjan has guided extensively in the Chilean Central Andes on Tupungato, Aconcagua, Llullaillaco, Pissis, Bonete, Mercedario, Marmolejo, San Jose and el Plomo. 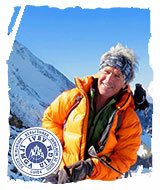 He has also guided on Alaska’s Mount McKinley (Denali), Cho Oyu, Ama Dablam, Elbrus and many peaks in Peru. Anjan speaks English, French, German, Italian and Spanish. Another of our Internationally Certified UIAGM / IFMGA Guides, Stefan hails from Sweden and has been guiding around the world for the last 23 years, searching for perfect snow, good climbing, and challenging summits. Based in the French Alps, he spent several seasons in Chamonix and now owns Heliskiguides Sweden. 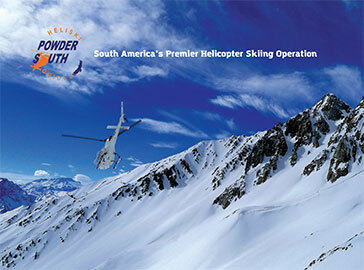 We feel honored to have Stefan as one of POWDER SOUTH’s Premier Heli-Ski Guides. 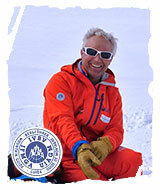 Didier, an Internationally Certified UIAGM / IFMGA Guide, has been ski guiding for over 20 years. He has heli-skied in Switzerland, Italy, Greenland, and Chile and completed backcountry ski trips in the Alps, Morocco, and the Norwegian Fjords. When not chasing wild snow on skis, Didier also works as a Mountain Guide in the Vanoise Massif and throughout the Alps. He has climbed all over the world, including in the Himalayas (Cho Oyu). He speaks French and English. But what he enjoys most is sharing his ever ending enthusiasm for the mountains. 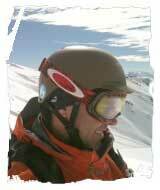 He lives in the French Alps and is based in the Three Valleys and Paradiski and speaks French English and Spanish. 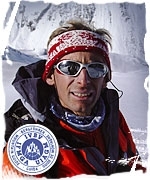 Yves is an international certified UIAGM / IFMGA French Mountain Guide since 1987. He has heli-ski guided in the Italian alps, Greenland, Himalayas and Chile. Yves also has plenty of experience off piste in the French Alps, 3 Valleys, Chamonix and the Dolomites. He’s manager of travel agency Monté Médio in Annecy Base camp and starting point for all the activities mountain, canyoning via ferrata and skiing. He lives in the French Alps and is based in the Three Valleys and speaks French and English. Jean, a professional ski and mountain guide for 22 years, was born and raised in Switzerland. He is UIAGM / IFMGA-certified and developed his mountaineering skills the oldfashioned way: by apprenticing and attending national courses in the Swiss Alps. Widely respected on both sides of the Atlantic, Jean has been the technical director for the American Mountain Guides Association and was instrumental in helping the AMGA become a part of the international guiding association. He is certified by the Swiss and American guiding associations and is a member of the International Association of Mountain Guides. He has worked as a national testing examiner for the American and British Mountain Guides Associations, and been featured in a number of international publications, including Couloir, Ski, and Sports Illustrated. 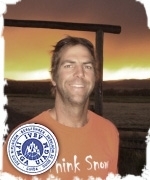 Their articles characterize Jean as a leader in the industry who is dedicated to educating others about safe mountain travel. An Internationally Certified UIAGM / IFMGA Swiss Guide, Lionel lives to ski. He works as a Ski Guide during the Northern Hemisphere winter at Verbier then does the same during the summer in the Southern Hemisphere. He was born and raised in the Swiss Alps doing what he does best, climbing and skiing. Lionel’s passion for the mountains has taken him everywhere in the Alps, where he is also a Rock and Ice Climbing Guide. He speaks English and French. A Swedish expat who has lived in the Alps for many years, Jonatan is an International Certified UIAGM / IFMGA Guide with a ski racing and freeskiing background. 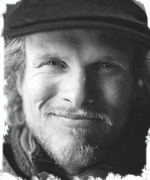 He has guided heli-ski trips in Northern Scandinavia, around Chamonix, and in La Grave. He loves to travel around the world with skis to meet people, experience new cultures, and ski beautiful mountains. Jonatan makes a living as a full-time Mountain and Ski Guide. 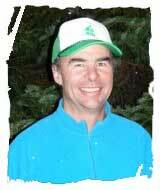 Kent is one of the world’s most renowned Internationally Certified UIAGM / IFMGA Guides. He has extensive guiding (18 years) and instructing experience in all facets of climbing and skiing, having plied his trades in mountain ranges throughout the world. He’s known for his ability to organize exciting and interesting trips, meet challenging goals for his clients, and broaden their skills in the mountains, a combination that has helped Kent develop lasting relationships with a wide variety of clients. 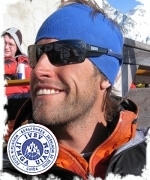 He is one of the few Americans who have passed the rock, alpine, and ski mountaineering exams to become UIAGM / IFMGA certified. Over the past two decades Kent has skied, climbed, and guided in Europe, Patagonia, Chile, Canada, Mexico, the Himalaya (China, Nepal, Tibet), Japan and the major hot spots around the United States. He has also worked 15 winters as a Heli-Ski Guide, in the mountains of Alaska (Girdwood, Haines, Tordrilllos, and Valdez), Greenland, and in Chile with POWDER SOUTH. In 2005, he climbed to the Central Summit of Shisha Pangma (8000 meters) in Tibet without oxygen, then completed the first ski descent down the Untsch Couloir. Angela was the 6th woman in the U.S. to become an internationally licensed IFMGA guide. She’s one of few women who have made a lifelong career as technical guide. She has over 25 high altitude expeditions under her belt all over the world. She guides ski mountaineering trips to Antarctica, ski traversed across Lapland, reached the South Summit of Everest and led an all-women’s ascent of Ama Dablam and Mt. Elbrus to name a few. Angela is an Instructor Team Lead for the AMGA, Owner of Chicks Climbing and Skiing and works for Telluride Helitrax as a Lead Guide and Avalanche Forecaster. 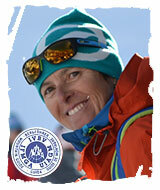 She has a Master’s Degree in International Mountain Conservation and in 2011 was awarded the “AMGA Guide of the Year”. In my time guiding I am fortunate to have had the opportunity to work all over the United States and Alaska as well as in the European Alps, Chilean Andes and the Himalaya. I began guiding in the winter of 2004 in New England and in 2007 I migrated west to the Tetons. Since then I have worked for Exum Mountain Guides and the American Avalanche Institute in the northern Rockies while spending my springs in Alaska, guiding for the Alaska Mountaineering School and Valdez Heli Ski Guides. From 2015-2017 I switched up my spring schedule and began working for Denali National Park as a climbing/mountaineering ranger on the highest peak in North America. After receiving my IFMGA ticket in 2017 I returned to guiding full time. 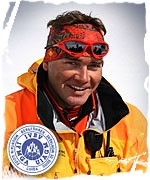 Andreas is a professional skier, UIAGM Aspirant Guide, rock climbing instructor, ski instructor, ski coach, and a former member of the Swedish demo team. Born in Sweden but based in Chamonix, France, Andreas is one of the premier freeskiers and steep skiers in the world. He splits his time between film projects (including the award-winning documentary “Tempting Fear”), steep first descents, guiding skiers and snowboarders around the world, and skiing his home range around Chamonix. Some of his notable feats include: the first descent of Denali’s South Face, the first descent of the Whillans Ramp on Poincenot in Patagonia, Aconcagua’s Polish Glacier and Mercedario in Argentina, Sajama in Bolivia, Artesonraju and Huascaran in Peru, Chimborazo in Ecuador, and many of the steepest lines in the Alps. He is also a noted philosopher whose blog can be found at www.andreasfransson.se. A well-known Canadian heli-ski guide, John has more than 25 years of experience leading trips in some of Canada’s greatest mountain ranges. He is the Co-Founder of Northern Escape Heli-Skiing, located in British Columbia’s northwest region, and is the former President of HeliCat Canada, the industry’s leading national association. John has always enjoyed exploring new areas and has chosen Chile for his latest adventures during the Canadian summers, enabling year-round heli-ski guiding. John brings a great amount of expertise to POWDER SOUTH, and his obvious love for the mountains and powder snow reflected in his contagious enthusiasm. Tom, a big name in the Jackson Hole, Wyoming, ski community, has climbed and skied extensively in the Western U.S., Alaska, Canadian Rockies, New England, and the Alps. He has been on expeditions to Nepal and South America and brings more than 20 years of experience as a ski guide/instructor at Jackson Hole Mountain Resort. 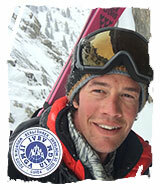 His resume includes technical ski descents of many Teton peaks including the Grand Teton. A heli-ski guide for POWDER SOUTH in Chile and a lead guide for Alaska Rendezvous Heli-Ski Guides outside Valdez, Alaska, Tom lives in Jackson Hole. Kevin has made his name in Utah’s famed Wasatch Range, now serving as the Chief Operating Officer and Lead Guide for Wasatch Powderbird Guides and Powderbird International. Powderbird is based in Snowbird, Utah, and specializes in private and small group ski trips to deep powder caches around the world. Kevin developed his guide skills by apprenticing at Powderbird and gained further experience in snow safety and emergency first aid as a member of the Alta Ski Patrol. He has more than two decades of experience in all facets of the heli-ski industry, mountain search and rescue, and avalanche control. In addition to his time heli-ski guiding in the Wasatch, he has also guided in Alaska, Canada, Japan, New Zealand, Turkey, Nepal, Chile, and Greenland. He lives in Alta, Utah. One of the godfathers of the heli-ski industry, Jerry brings nearly 40 years of experience to POWDER SOUTH. While developing his skills in Alaska, Jerry pioneered more than 300 first ski descents in the world-renowned Chugach Range. He has heli-ski guided longer than probably anyone we know, with an excellent safety record and reputation for innovation among the brightest minds in the industry. He was born and grew up in Kamchatka peninsula, land of mountains and volcanoes and mecca for heli skiing as well. Grigory started skiing and hiking from childhood, and it became his passion for many years. 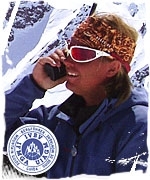 He has been guiding since 1999, and now is a Professional Ski Guide and a member of the Russian Mountain Guide Association. He has spent a lot of time in Kamchatka for heliskiing, ski touring and hiking, as well as in many other regions of Russia (Kurile islands, Caucasus, Siberia), Japan, India, Argentina, Chile, Canada, Antarctica and other amazing destinations. 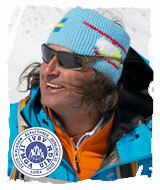 We are very happy to have Grigory as one of our Powder South Heliski Guides. Grigory recently became the first ACMG Certified Ski Guide in Russia (Association of Canadian Mountain Guides).